The US State Department praised the role played by HH the Amir of the State of Kuwait Sheikh Sabah Al-Ahmad Al-Jaber Al-Sabah in reaching a solution to the Gulf crisis. In a statement, the State Department said that Secretary of State Mike Pompeo will highlight during his upcoming visit to Kuwait on Tuesday the importance of a united GCC in ensuring the success of the Middle East Strategic Alliance. Pompeo's visit to Kuwait is part of a tour which also includes a number of countries in the region. ‘While still in its formative stage, the United States has continued to advance discussions with our partners on the alliance, which includes the GCC member states, Egypt, and Jordan,’ the Statement added. 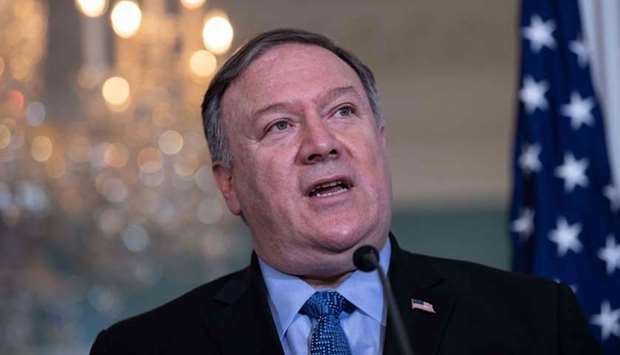 Regarding this year's strategic dialogue between Kuwait and the United States, the statement said that Pompeo will head the US delegation to the third strategic dialogue between the two countries scheduled to be held on Wednesday and will focus on many areas of bilateral cooperation, including defence, combating terrorism and cybersecurity. Pompeo and other US officials will also expand the bilateral relationship on innovation, entrepreneurship, and small business development, according to the statement. The US Secretary of State will start today a tour in the region until March 23, which includes Kuwait, Lebanon and the occupied territories. ‘The Secretary will reinforce the value of our partnerships, as well as the importance of security and economic cooperation in achieving regional stability,’ the statement pointed out. In the occupied territories, the US Secretary will reaffirm the US administration's commitment to pursuing a comprehensive and lasting peace between Israel and the Palestinians.